Ian Ziobrowski of Genuine Artikle is a work horse. Here's one of his latest customs: "Nuggzilla", a 2-headed freak with one good head and one bad head. 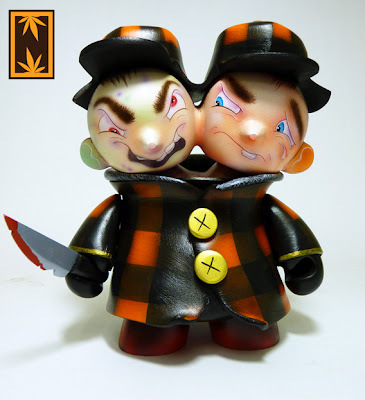 The body is from a 7-inch Munny and the 2 heads are from 3-inch Munnys. 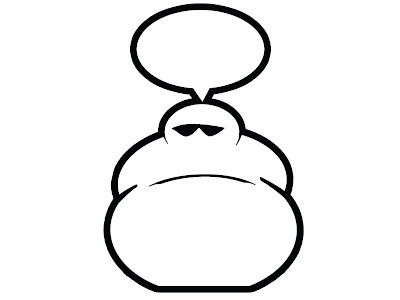 Ian says: Nuggzilla is a case of bad smoke, you never know when it creeps up! Ian's also working on a 20-inch Qee for our collaborative effort with Wizard Sleeve Toys down in Florida: the Qee to the City custom 20-inch Qee show! Look for teasers from that show coming soon! Designer Con Alert - D'oh! D.I.Y. 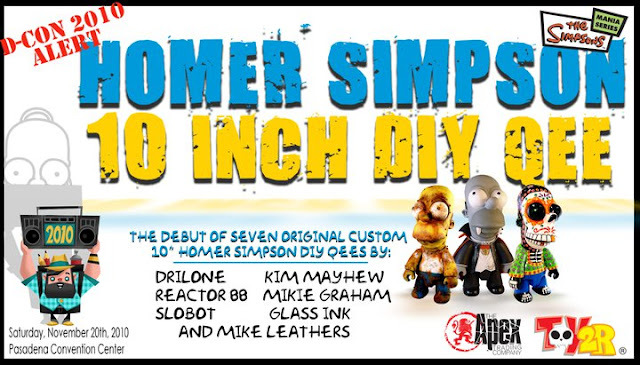 Apex and Toy2R will be displaying some great customized 10" Homer Simpson Qees during D-Con. Some debuting for the first time - so head over to the Toy2R / Apex booth this Saturday to check out customs by DrilOne, Mike Leathers, Slobot, Reactor 88, Kim Mayhew, Glass Ink and Mikie Graham.....the Yellow Power of Simpsons! One of the many, many projects NEMO's currently working on is the prototype for the above figure, called Wazo the Thinker, by Tim Lockhart. 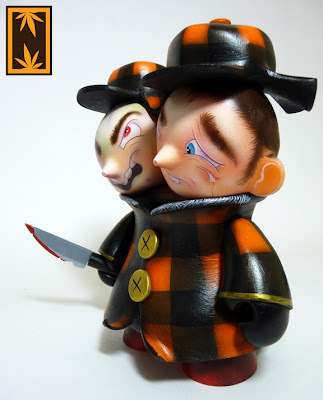 Click here to see early coverage of this project on SpankyStokes. 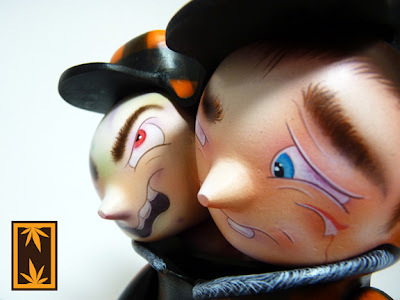 Below is a video of the original concept coming to life in clay, before the project was handed over to the capable hands of NEMO. Looks like it's gonna be a cool sculpt! 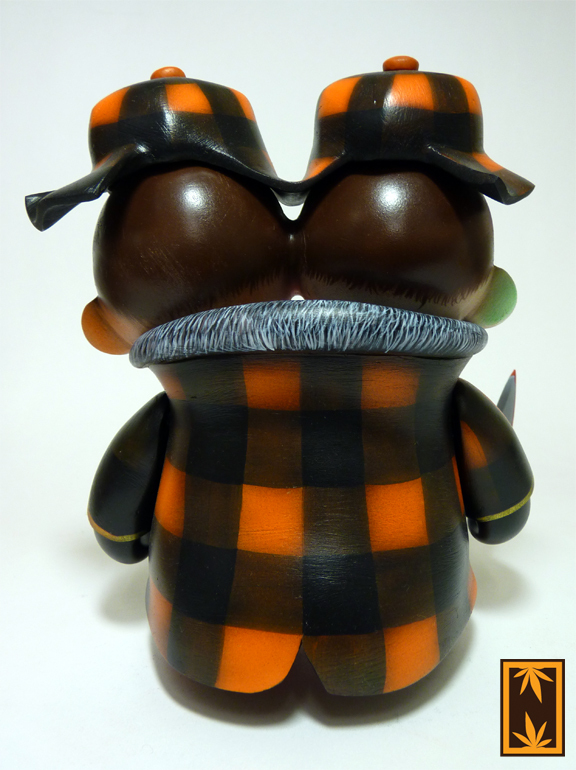 Stay tuned for more info on this piece. - Zorus has a removable helmet to reveal his full face and two spears. - The Dino comes in at 8” from head to tail and with innovative articulations: a designer toy that you can play with like a real toy! Two delicious colorways are released: Chocolate Chromium (bottom) and Rainbow Warrior (top). 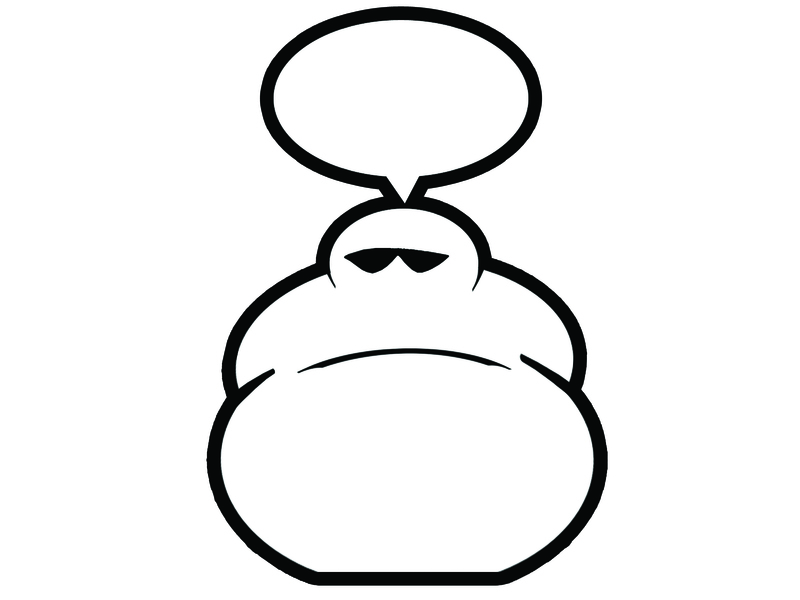 Mist first experienced graffiti in the late 80’s and is also one of the French pioneers of designer toys. 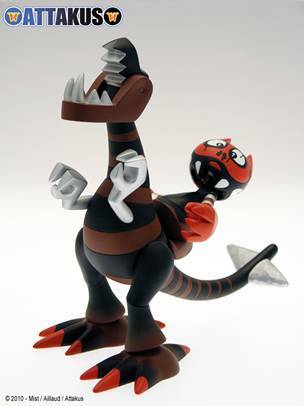 Today, Mist travels successfully the planet for exhibitions and produces some of the most sought after designer toys. Etienne Aillaud is one of the proud fathers of Attakus and the Alyenz minis. 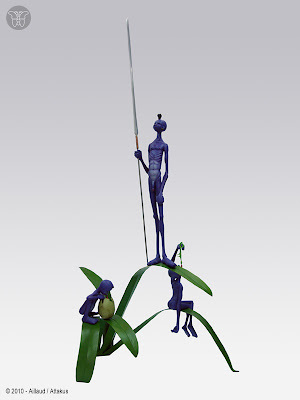 As a contemporary sculptor, he recently achieved his masterpiece : Weed Tribe (also available, pictured below).